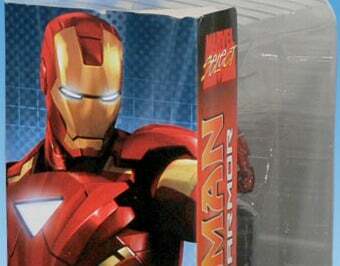 Do Iron Man 2 Action Figures Give Away The Movie's Climax? Could Friendly Fire Be In Iron Man&apos;s Future? Created for James Rhodes by reverse-engineering Tony Stark's Iron Man, the War Machine armor differs from it's predecessor not only in terms of color but also possesses more destructive weapons and raw firepower. Forced to choose between following orders and helping his friend, Rhodes must decide once and for all where his loyalties lie. I'm guessing the film ends with Rhodey abandoning his military career to join up with Tony full time. No longer powerful enough to deal with his enemies' advanced tech, Tony Stark upgrades his Iron Man Armor designs ever further to create the Mark VI Iron Man! With a new and improved Arc Reactor both powering his armor and keeping him alive, not even the high-tech devastation caused by Whiplash and Hammer Industries can stop the Invincible Iron Man in Mark VI Armor. We know a major plot in the new movie involves Tony trying to learn about his father's research into an alternative energy supply. And it sounds as though, among other things, that culminates in Tony developing a new, more powerful Arc Reactor.